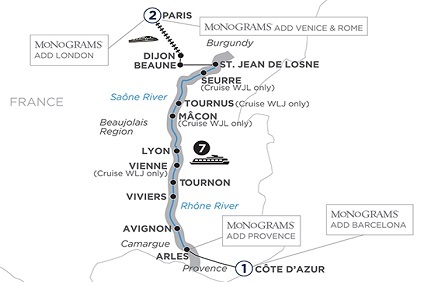 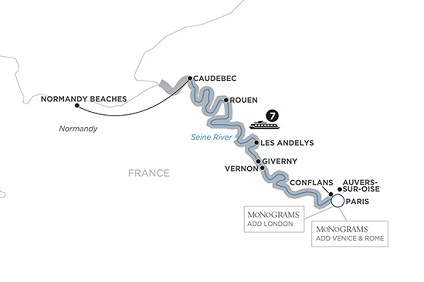 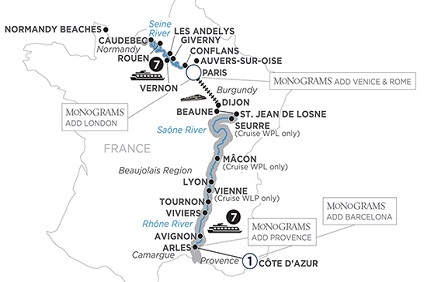 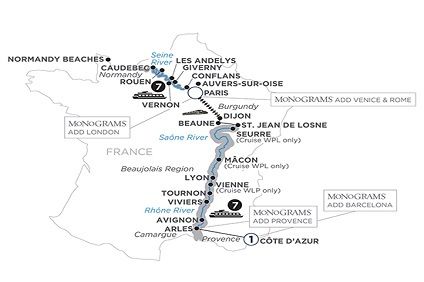 7 Night Cruise sailing from St Jean de Losne to Arles aboard Avalon Poetry II. 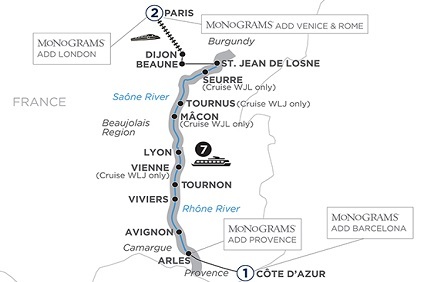 2 night stay pre-cruise in Paris and 1 night stay post-cruise in Cote d'Azur. 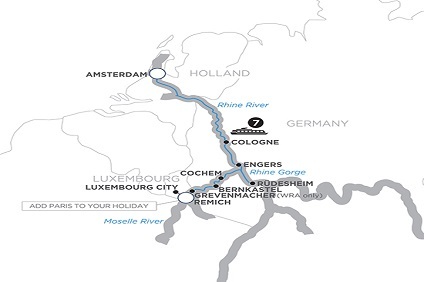 7 Night Cruise sailing from Budapest to Nuremberg aboard Avalon Envision. 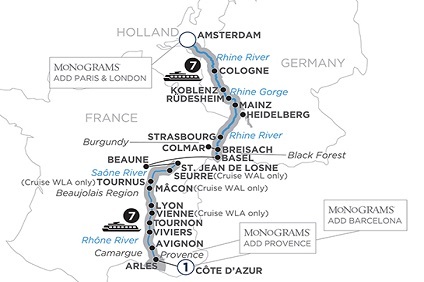 2 night stay pre-cruise in Budapest and 2 night stay post-cruise in Prague. 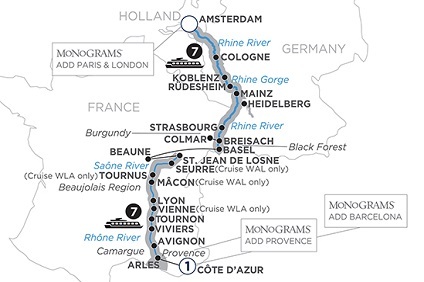 7 Night Cruise sailing from Linz to Budapest aboard Avalon Impression. 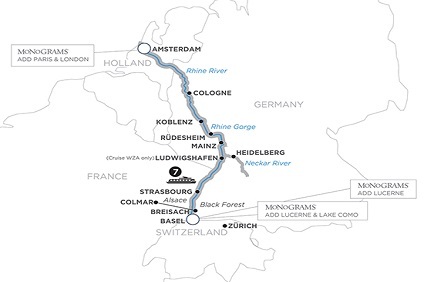 Hotel stay post-cruise in Budapest.